Knowledge extraction from data volumes of ever increasing size requires ever more flexible tools to facilitate interactive query. Interactivity enables real-time hypothesis testing and scientific discovery, but can generally not be achieved without some level of data reduction. The approach described in this paper combines multi-resolution access, region-of-interest extraction, and structure identification in order to provide interactive spatial and statistical analysis of a terascale data volume. Unique aspects of our approach include the incorporation of both local and global statistics of the flow structures, and iterative refinement facilities, which combine geometry, topology, and statistics to allow the user to effectively tailor the analysis and visualization to the science. Working together, these facilities allow a user to focus the spatial scale and domain of the analysis and perform an appropriately tailored multivariate visualization of the corresponding data. All of these ideas and algorithms are instantiated in a deployed visualization and analysis tool called VAPOR, which is in routine use by scientists internationally. In data from a 10243 simulation of a forced turbulent flow, VAPOR allowed us to perform a visual data exploration of the flow properties at interactive speeds, leading to the discovery of novel scientific properties of the flow, in the form of two distinct vortical structure populations. These structures would have been very difficult (if not impossible) to find with statistical overviews or other existing visualization-driven analysis approaches. 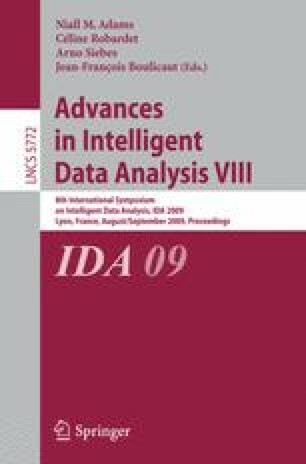 This kind of intelligent, focused analysis/refinement approach will become even more important as computational science moves towards petascale applications.